Welcome to my new website dedicated only to obstructed defaecation. Obstructed defaecation problems are widespread. Understanding the problem takes time and effort both by patients and myself, hence this website. 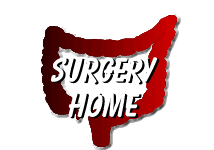 I will try to keep this website & surgery-home.com up to date over the next few years.